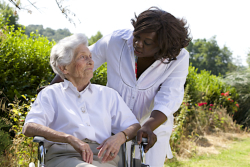 The Essential Community Support (ECS) Program is available for individuals who are not eligible for nursing facility services, long-term care waiver services, or for Alternative Care (AC) services. Each individual may also qualify for up to $424 each month for essential services and support. Who are eligible for ECS? What services are included in ECS? For assistance regarding ECS Application, please don’t hesitate to contact Home Healthcare Agency today. You may reach us at 866-511-6623 or you can send us an email at hr@homecareagencymn.com.